BETHEL — The community of Quinhagak is awaiting the return of about 60,000 artifacts unearthed from a nearby ancient village and sent to Scotland. Quinhagak is hoping the Yupik artifacts will make it to the Southwest Alaska village in time for a museum opening next week, KYUK-AM reported Thursday . The items were sent to be cleaned and preserved at the University of Aberdeen in Scotland. Archaeologists began excavating the ancient village of Nunalleq nearly a decade ago after permafrost started melting, revealing the items. 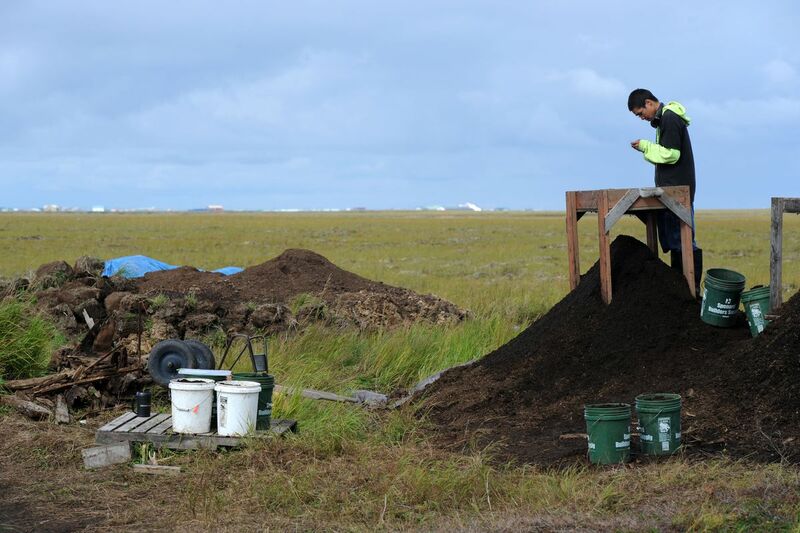 "We were hoping that the artifacts will be back by then, and then we can celebrate the return," said archaeologist Rick Knecht, dig site manager of Nunalleq. The Qanirtuuq Native Village Corp. converted a former school into lab for the archaeological site last summer, allowing the items to be locally preserved. The lab will also serve as a cultural center and museum, which is opening next week. "It is a tough task, but I, for the sake of our community, want this museum to be here," Qanirtuuq President Warren Jones said. "These artifacts were found here on our land, they will be here at Quinhagak and Qanirtuuq will be the owner." Residents started finding the artifacts along the shore near Quinhagak in 2009. Jones then reached out to Knecht to investigate the site, leading to a massive archaeological dig. Excavators and residents have since raced to save as much as they can before the site is eventually swept away. The artifacts date back to the Bow and Arrow wars in the 1600s, an episode still remembered through Yupik oral history.